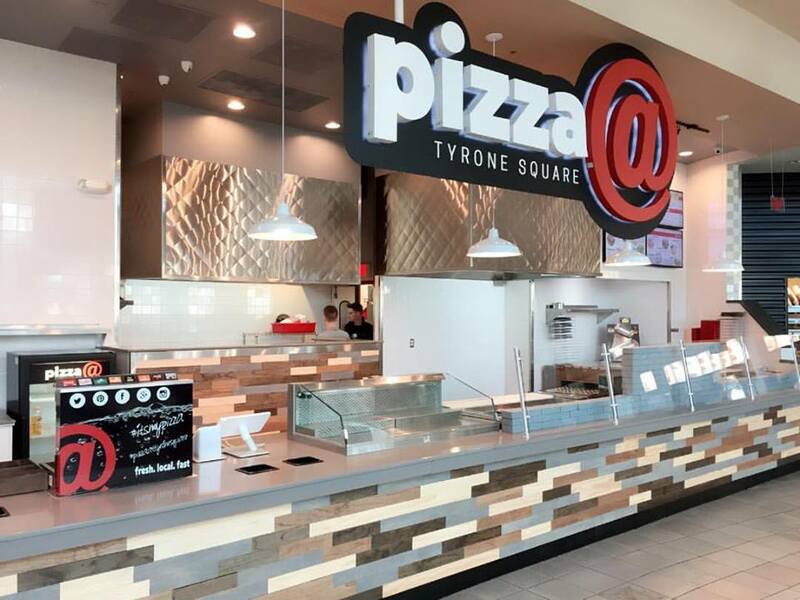 TAMPA BAY, Fla. – (February 6th, 2017) PIzza@, a Florida-based fast casual pizza concept has selected Tyrone Square to open their third location, with two other locations opening this month in West Melbourne and Titusville. In honor of National Pizza Day on February 9th, the pizza brand plans a bold “2 Topping pizza@ giveway” to anyone who makes a drink Purchase from 2pm -6pm (up to 200 pizzas) at the store’s Tyrone Square Mall location. The Pizza@ concept was founded by St. Petersburg resident, Troy Barton and boyhood friend Johnny Peterson in 2014. The unique concept features personal 13 x 6 pizzas, with the customer’s choice of over 40 traditional, seasonal, or exotic toppings, 5 signature sauces and 5 cheese blends. The pizza is made fresh to order, and cooked in 120 seconds. Pies range between $5.92 – $7.92 based on the number of toppings. Award-Winning local chef, Jeffrey Jew and Barton were associates in Washington DC prior to relocating in the Sunshine City. Jew consulted with the partners nearly a year before their first store opened. Fans of the chef will appreciate his trademark to a few of the signature pies, and the five exclusive sauces. The signature pies are distinctly creative, like the “Beach Bum”, a classic tomato @blend, meatball, shrimp, mushrooms, and a mango-habanero sauce drizzle. The menu also touts mahi-mahi, pulled pork, truffle oil, breakfast pizza, wings, stromboli, big@ brownies and more.